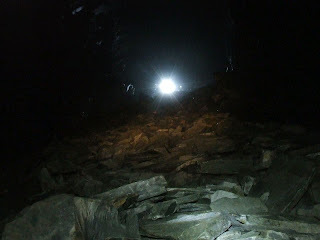 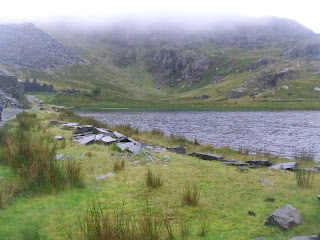 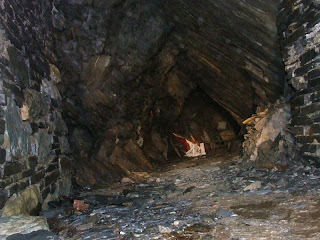 Cwmorthin Slate Quarries are located in the mountains above Blaenau Ffestiniog in North Wales. 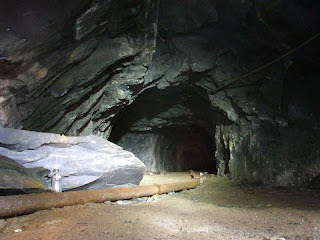 Cwmorthin was first worked in the 19th Century and remained in use through until the end of the 20th Century, although on a much smaller scale. 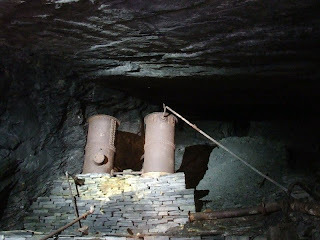 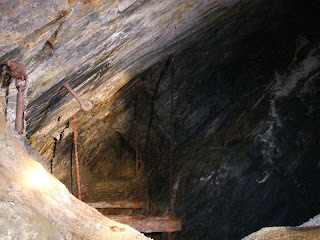 There are a number of floors and the mine covers many miles, with some huge chambers, much of which can still be explored. 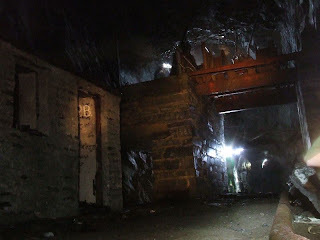 On this through-trip we also visited some workings which were once open as a tourist attraction, and many implements, such as cranes and carts can still be seen. 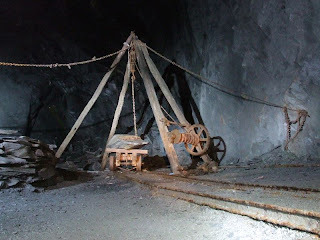 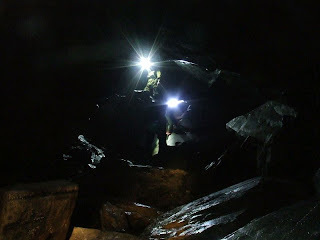 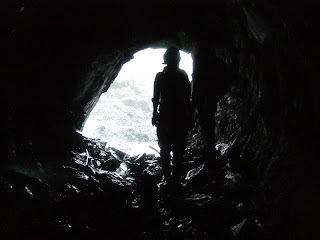 The quarries in this area are very dangerous, as they are very extensive and some are still being worked to this day, so they should only be visited with an experienced guide and the appropriate equipment. 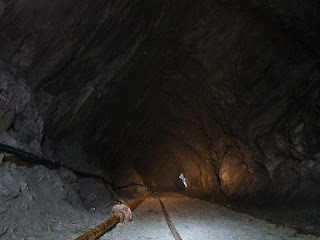 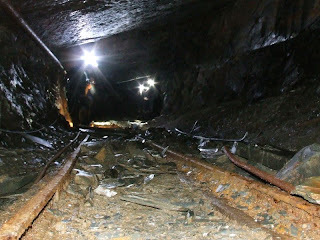 The access is gated but the lock code can be obtained through official mine exploration groups.